The move, which is subject to parliamentary approval, will supersede the current process of being able to self-declare any criminal record. LONDON: The UK government is set to introduce a new criminal record check requirement for workers from specific professions from non-EU countries like India from next month. Professionals such as teachers, nurses and social workers from outside the European Union (EU) who apply for a Tier-2 visa to live and work in the UK will need to provide a certificate from their home country authorities with their applications disclosing whether they have any criminal convictions. 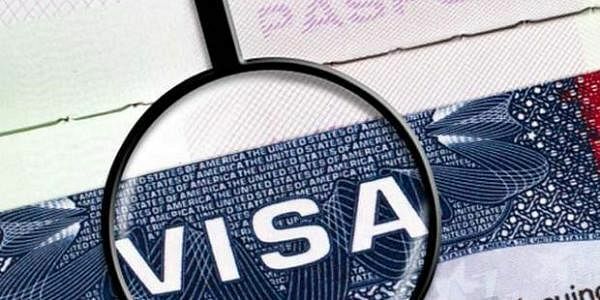 The move, which is subject to parliamentary approval, will supersede the current process of being able to self-declare any criminal record on the visa application. It will apply specifically to migrants intending to take up jobs which involve working with children and vulnerable adults. "Foreign criminals have absolutely no right to be working with society's most vulnerable. While we already reserve the right to refuse a visa to anyone who is convicted of a criminal offence, the introduction of overseas criminal record checks for those looking to work with children and vulnerable adults add an extra safeguard," said UK immigration minister Robert Goodwill. Under the plans to become effective from April, skilled migrants applying within the Tier-2 category for specific professions will now be required to provide a criminal record check certificate from any countries they have lived in for more than 12 months in the past 10 years. An applicant's partner, or a partner wishing to join an existing skilled migrant worker in the same sectors, will also be asked to produce a certificate. The requirement could be waived where it is deemed not "reasonably practicable" to obtain a certificate, such as if a country or authority does not produce such documents. The UK government already has the authority to automatically refuse entry to applicants who have been jailed for four years or more, while those given shorter terms can be barred from entry for up to 10 years after their sentence ends. The latest rules are part of a number of tougher measures being introduced after a review by the UK's independent Migration Advisory Committee recommended changes to the visa system. It has already been announced that the minimum salary threshold before a Tier-2 visa is granted to skilled workers from outside the EU will rise from 20,800 pounds a year to 30,000 pounds for most jobs. Also, chemistry teachers are being removed from a list of UK "shortage occupations" but those who teach combined science, computer science and Mandarin are being added to the list. Jobs on the shortage occupations list imply relatively easier visa norms for applicants from outside the EU.